2175.03.20 The Imperial Phaerax Authority puts a blockade on Pi Persei 5. After so many years of peace, the warmongers in the Olympian Way are itching for a fight. Aside from 5th Fleet at Sigma Cygni (troop transports), and 2nd Fleet at Epsilon Circini 1 (The guard fleet against Silvermists), assets in the region are scarce. 20th Fleet is ordered to lift the blockade, while 5th Fleet is tasked to load all available troops. 12th Fleet, far away but idle, consists of 4 destroyers, is sent to the theater, as is 16th Fleet, currently idle at Secura. 2175.03.23 In the Relakis system, the XHuman Nation capital, the medium freighter Fortunate Burden discovers a refugee vessel. 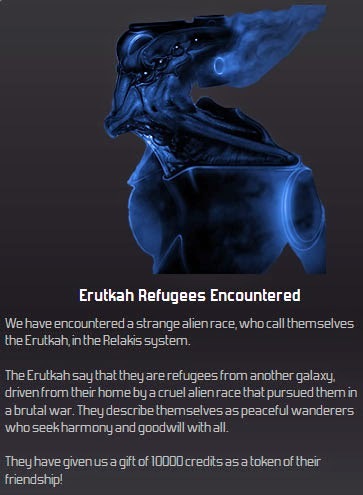 It belongs to a race calling themselves the Erutkah. Hmmm...they claim that they are peaceful wanderers driven from their galaxy by a cruel alien race. Olympia is skeptical. This race bears watching. 2175.04.16 Some intelligence is gathered on the Eruktah--their capital is Ohozruluvo in the Kappa Aurigae system. 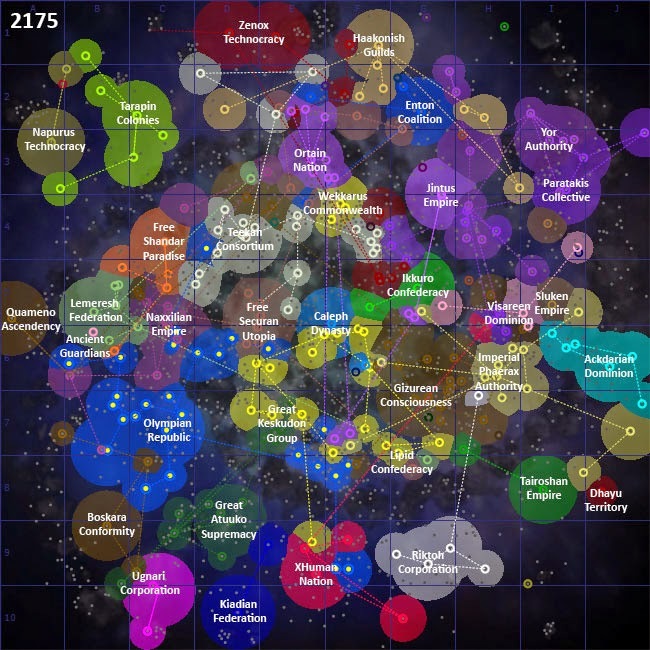 Kappa Aurigae is also the home system of the Kiadian Federation. It is hoped that the Kiadians keep a close eye on these refugees. 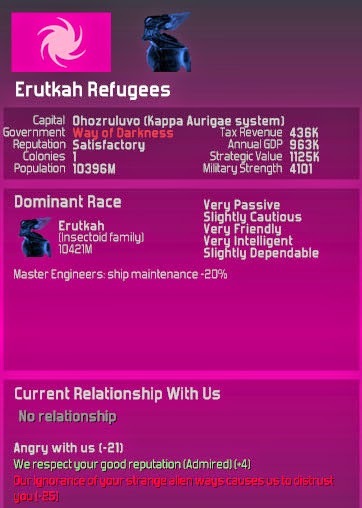 2175.06.10 Apparently the Eruktah have build a spaceport and a fleet in a remarkably short amount of time, and they are already engaged in hostilities with the Kiadians. 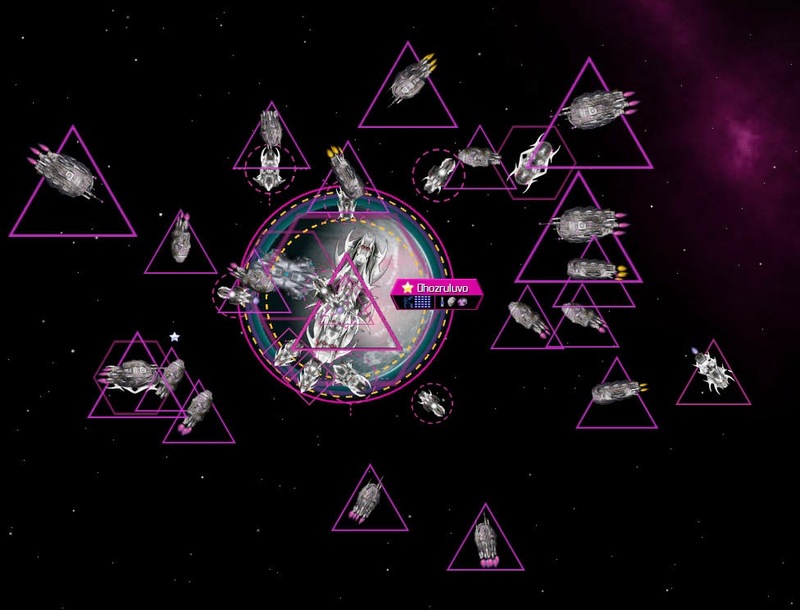 The engagement is monitored for some time, and the Kiadians seem to be losing, as several ships are destroyed. 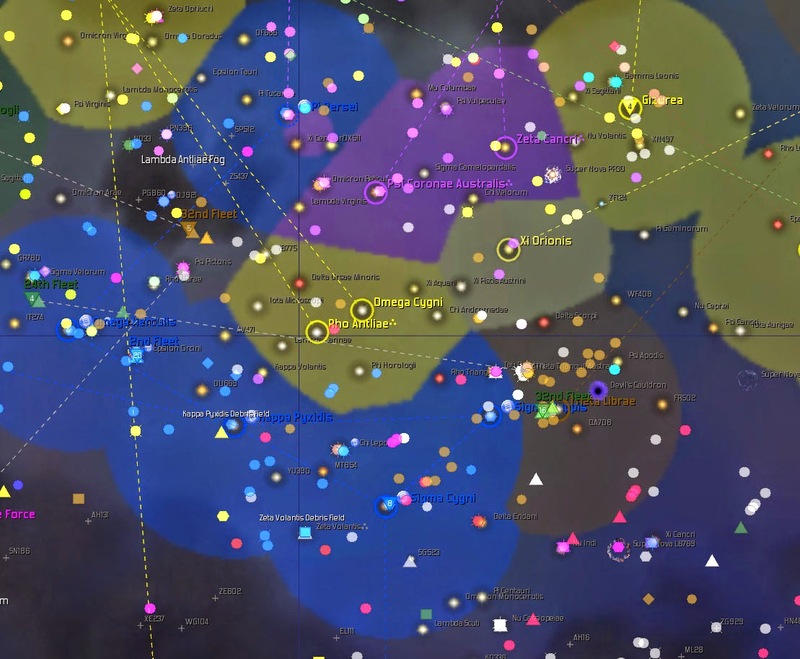 Looking at the galaxy map, it appears that the Kiadians are taking this threat seriously, as multiple fleets are recalled back to the system. 2175.09.11 12th Fleet arrives in the Pi Persei 5 system, and orders the Phaerax vessel to cease its blockade immediately. 16th Fleet, meanwhile, has taken position around the Phaerax world of Lambda Phoenicis 1, ready to attack if the Phaerax do not listen to reason. 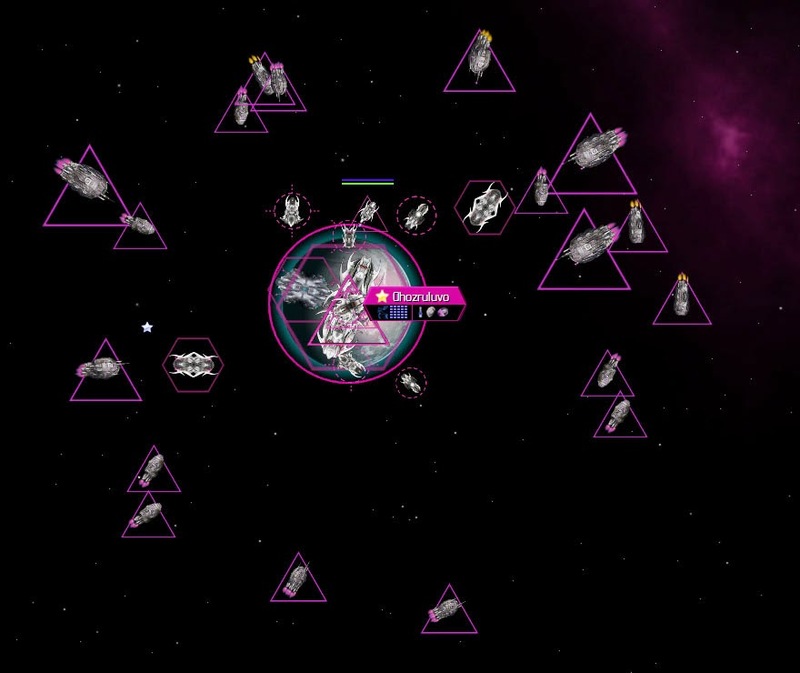 The Phaerax deny having a blockade, so 16th Fleet initiates a blockade of Lambda Phoenicis 1. 2175.09.25 The Phaerax have had two weeks to respond. They are warned again, and again they deny everything. 12th Fleet is ordered to attack the offending Phaerax cruiser, Overpowering Emancipator. After its shields are knocked down, Overpowering Emancipator is forced to flee. 2175.10.14 Checking back in on the Kiadian / Eruktah situation, it appears that the the conflict has been continuing, and the Kiadians have been holding their own. 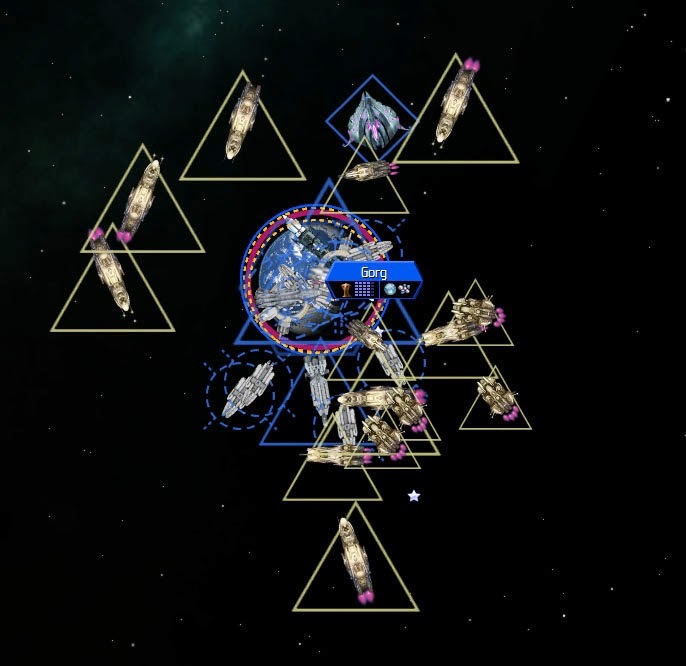 And then, the Ugnari, a race that has a trade agreement with the Kiadians, sends a large fleet to the Ohozruluvo system. They arrive, but hostilities do not immediately commence. What is going on here? 2175.10.18 The Phaerax have ended their blockade of the Pi Persei system. Assuming they are good for a while, Olympia will remove its blockade of Lambda Phoenicis 1 as well. 2175.10.24 As Olympian intelligence expected, the Ugnari blockade Ohozuluvo. It appears that the Eruktah are contained. 2176.01.07 While watching the Ohozuluvo System, a Kiadian destroyer enters the system and opens fire on the Eruktah. And then the entire Kappa Aurigae system goes out of sensor coverage. Interested, Olympia sends a scout ship towards the system to monitor things. 2176.04.25 Olympia’s diplomats advise trade sanctions against the Eruktah Refugees. They are probably not a threat, but this sounds like a good idea. 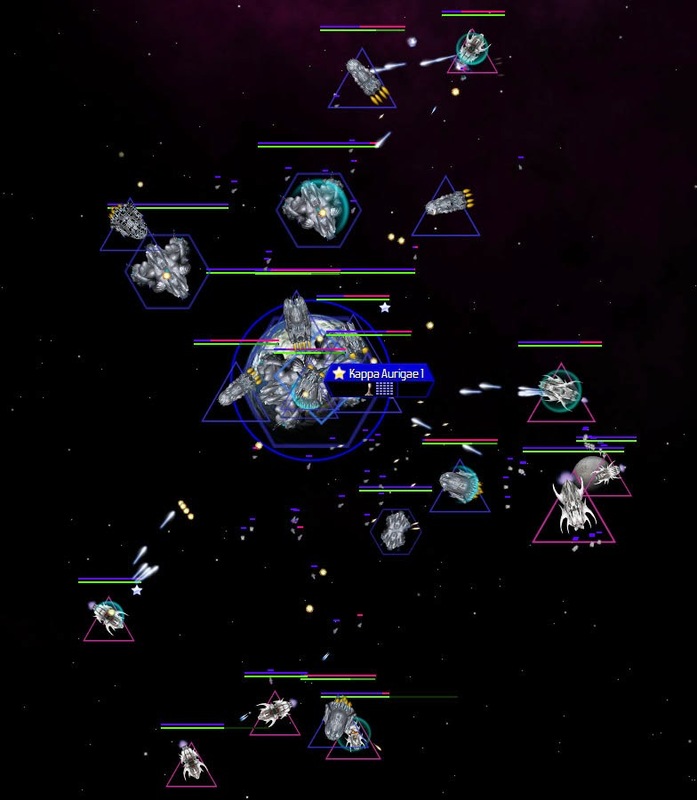 2176.05.02 16th Fleet attacks the Gamma Ursae Minoris Mining Pirate base at Omega Pyxidis 2. 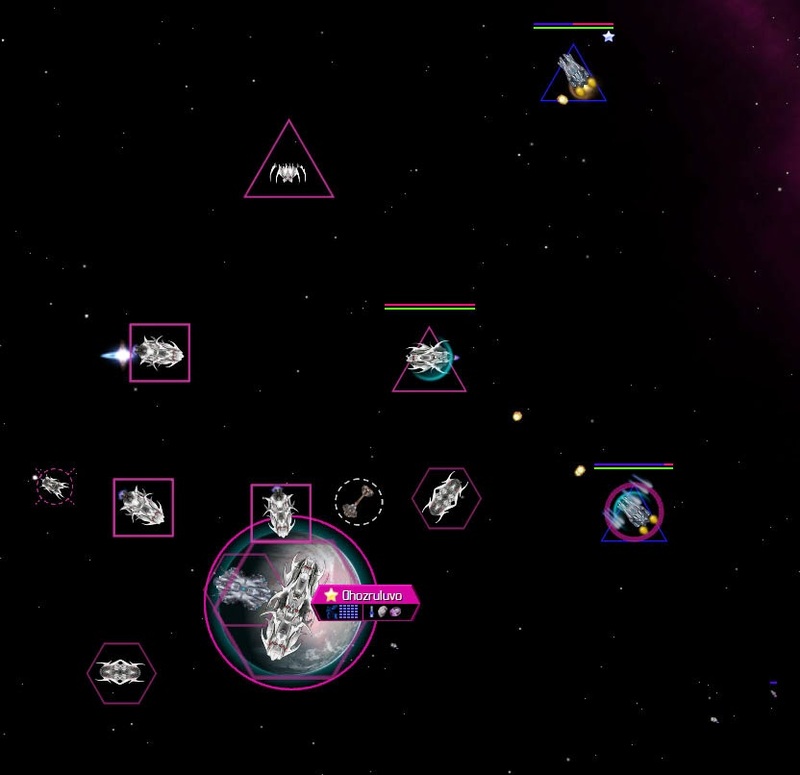 The cruisers Raptor and Venator are destroyed, but the pirate base and its plethora of ships are destroyed. Soon after, 21st Fleet, the designated anti-pirate fleet, arrives at a major base belonging to the Black Fang Gang, and a massive battle erupts which takes weeks. While this is going on, the planet Zeta Telescopii 3 of the Free Shandar Paradise decides to leave the Paradise and join the Olympian Way. They are welcomed with open arms. 2177.10.09 Olympia’s Explorer vessel has been monitoring the situation with the Eruktah. They have been in constant conflict with the Kiadians and the Ugnari within the system, and appear to be holding their own. Their ships seem especially powerful. 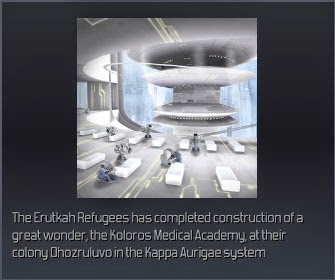 And despite their state of constant war, they manage to construct a galactic wonder, the Koloros Medical Academy! 2177.11.05 The Eruktah continue to expand, managing to conquer one of the Kiadian colonies, Nu Muscae 5. 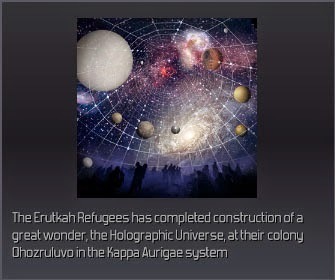 Even more amazingly, the Galactic Newsnet reports that they have begun construction of a Holographic Universe at Ohozrulovo and a Danuta Engineering Center at Nu Muscae 5! 2178.01.01 In a single year, the Eruktah have conquered a Kiadian colony, and their military has increased from a rating of 4,984 to 5,993. The Kiadian military, on the other hand, has declined from 17,421 to 11,706. The government resolves to aid the Kiadian Federation if they ask for aid. 2178.02.29 The Eruktah destroy the defenses at the Kiadian’s second planet, and then fly to Kappa Aurigae 1, the Kiadian homeworld. It looks like the Kiadians are completely outmatched. 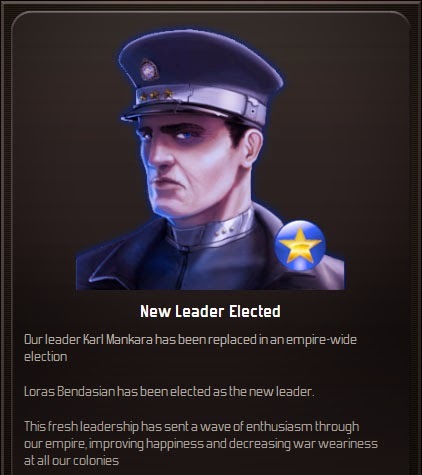 2179.02.04 In a new election, Olympia’s leader Karl Menkara has been succeeded by Loras Bendasian. 2179.04.07 The Eruktah Refugees complete another wonder at Ohozrulovo. Their rapid progress is getting increasingly disturbing. 2179.12.18 The Imperial Phaerax Authority initiate a blockade of the Planet Gorg. This will not be tolerated. 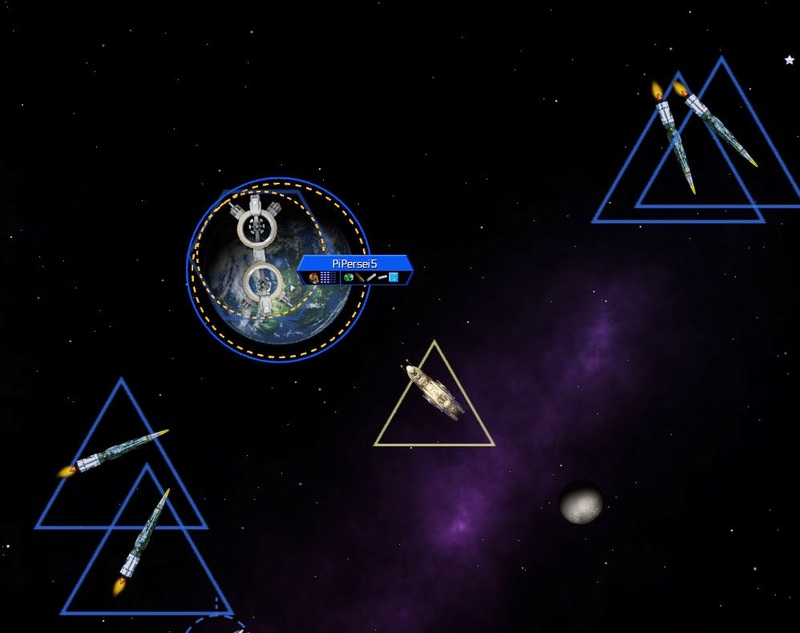 The cruiser Pugnator is in orbit, and it is ordered to bide its time until 2nd Fleet arrives. When it does, the Phaerax will be ordered to leave immediately or suffer the consequences.